One of my blog readers, Erine Atkins, has been kind enough to fill in for me while I am busy on a photography assignment. In this article, he shares some of his favorite holiday gift ideas for the photographer in your household. I hope you enjoy it! I’d like to give you some guidance on camera body options. Everyone is familiar with point & shoot cameras. They are ubiquitous for a few reasons. They are compact & easy to carry, the lowest price and the easiest to use - just point & shoot! However they do have some drawbacks that we're sure you've experienced. They are too slow when trying to capture action or candid photos. Shutter lag is the time between pushing the shutter and capturing the photo. With P&S cameras you often "miss the moment" while the camera focuses. This shutter lag is especially noticeable in low light situations. While the camera "hunts" for focus you've lost that candid moment or million dollar smile/expression. Rest assured, P&S images have improved tremendously and can be stunning in the right light/situation. But P&S cameras are rapidly losing market share due to the explosion of camera phones. There are high end P&S alternatives (Canon G-series, Fuji X100, etc) that offer better control and image quality than today's camera phone. You'll pay a premium .... and get what you pay for - a better, more capable camera. Micro four-thirds cameras offer a very significant step up from P&S cameras. These mirrorless cameras are more compact than their big brother - the digital single lens reflex (DSLR). What does mirrorless mean? Nothing more than they don’t allow a direct look through the lens (TTL). On the other hand, they do accommodate interchangeable lenses - the hallmark of DSLR cameras. Micro 4/3 sensors are much larger than those found in P&S cameras - that's a very good thing - but not quite as large as DSLRs. Those of you that have followed our blog may recall that we bought a micro 4/3 camera from Sony - the NEX-5N - to use as our walk around camera. We love it and have raved about its image quality. However, there are many DSLR "features" that we miss when we use it. That said, we still consider micro 4/3's a terrific option for the budding enthusiast on a budget. Olympus and Sony are key players in this market. Canon and Nikon have also begun to offer micro 4/3's cameras. Your options are growing. It may very well be the correct choice for your loved one - that post will help you decide. DSLRs are the top of the line camera choice in the consumer marketplace. The big players, Canon & Nikon, are sure to have a DSLR that fits within in your budget and your loved one's needs. Entry-level prices start at ~$500 for camera and "camera kit" lens. Pro level cameras begin at $3,500 - without a lens. There are multiple price/performance levels in between. The best news is this - you won't go wrong buying a DSLR. With so many options the question to answer is - "How do you decide on which to buy?". We'll address that in detail in next week's post so if you're considering a DSLR (as a gift giver or gift recipient) be sure to check back. We'll pose some questions that will help you decide which DSLR will meet your needs within your budget. Of course, a camera body is only one potential gift category for your photo enthusiast. If you bought them a camera last XMAS they need accessories this year. What are your options? Don't fret - there's no end to useful and relatively inexpensive accessories. For more info, check out Ron’s Which camera should I buy? article. If your loved one has a DSLR or micro 4/3 camera then the most obvious accessory is a new lens. I mentioned "kit" lenses earlier. An upgrade from a kit lens to a pro-quality piece of glass (photo lingo for lens - use it at the store and note the reaction) will improve the image quality more than any other accessory. Colors will be more accurate and vibrant, image contrast will be improved. Your loved one will see the difference immediately. I exclusively use pro-level lenses. Size matters in photography - fast glass is much larger in diameter. However, fast glass will cost much more. Don't fret - there may be no need to buy that expensive f/2.8 lens. For more info, check out Ron’s Which lens should I buy? article. OK so let's explore a few more ideas. Is your loved one a landscape or macro photography enthusiast? If so then you should definitely consider a tripod. Maybe you worked a deal for a free tripod when you bought the new DSLR. Buyer beware - you get what you pay for. A new, moderately priced tripod is a great gift idea for any landscape, low-light or macro photographer. It is a gift that will keep giving and will enable her/him to take their photography "to the next level". There are several options available; as we mentioned before you get what you pay for. We use Manfrotto tripods and are very happy with them. 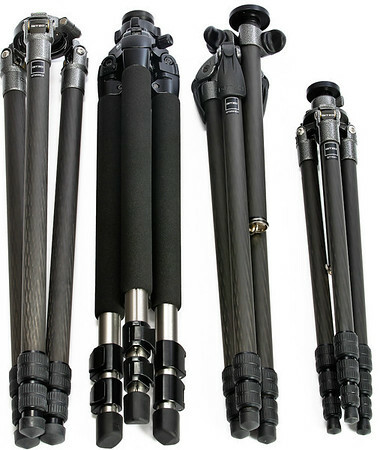 Gitzo makes terrific, high-end (pricey) tripods while Induro has a great line of moderately priced, light weight tripods for those photographers that get around. You won't go wrong with any of these suppliers. For more information, check out Ron’s What tripod Should I Buy? (includes heads & monopods) article. If you bought a DSLR last year you may want to consider buying a supplemental flash (Speedlite) for the camera. The built in flash that is part of consumer DSLRs do not work that great. They create "deer in the headlight" photos with "red eye" thrown in to boot. Consider an external flash unit. Canon’s 430EX II is a great place to start and is a great place to start if you can’t afford the steep price of the 600EX-RT. The lower priced flashes like 270 EX II) aren't intended for DSLR’s, but they can be useful for Canon point and shoots with a hot shoe like the G15. For Nikon users, the SB700 is similar to the Canon 430 EX II. Nikon's best of breed is the SB-910 but as with the Canon 580 EX II, the SB910 may be more than many can afford. As a result, the SB-700 may be a better choice for the budget conscious. A good filter like a circular polarizer or neutral density filter is always a good idea. The inexpensive filter that is typically included with DSLR bundles should be trashed or replaced. It makes no sense to use a protective filter for our $2,000+ lenses. Our equipment insurance covers us and does not create the image artifacts (flare, loss of contrast) that an inexpensive UV/protection filter does. I do use a professional-grade polarizing filter for landscape photos. If your loved one enjoys landscape photography then this is the one filter we would recommend. Expect to pay ~$100+ for a good polarizer (depending on the lens size). One last idea - a good camera bag is invaluable. I know because like most photographers, I have several. Look for something that will carry all of the equipment and leave room for other "odds & ends". Comfort is a big factor as well. This is one gift that really needs to be "tried on" to ensure it "fits" the user. There are shoulder bags, backpacks, sling bags, waist packs, rolling cases .... the list goes on and on and I have one or more of each. Lowepro and Tamrac are name brands with multiple styles and options. Think Tank Photo offers pro quality bags and holsters that Ron highly recommends. If you live in a rainy climate be sure to check the weather proofing options. Purchasing camera gear is never a simple task, but hopefully some of Ron’s articles and the articles on my site (Tuesday Photo Tips) will help you make a choice that is right for you. Better yet – be updated automatically when we post Photo Excursions, Road Trips, Family Happenings or Photo Tips by “friending” our Facebook site. This article was provided by a guest blogger and modified by Ron for appropriateness for this blog. If you make a purchase using links in this article, I may make a commission. The opinions of this article, it’s author, and it’s related site do not reflect the views of Ron Martinsen or ronmartblog.com. The Sony NEX series cameras aren't micro 4:3; they're the next step up, which is APS-C (the same sensor size used on most consumer DSLRs). APS-C sensors are 65% larger than micro 4:3. The sensor on the NEX7 is particularly good; to get a bigger/better one, you'd need to buy a full-format DSLR. Theorist - thanks for your comment - that appears to be an error on the part of this guest blog post.